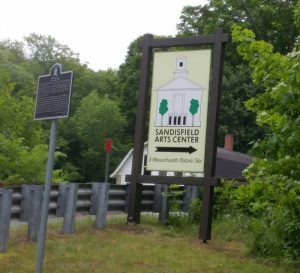 The historic Sandisfield Arts Center building is located at 5 Hammertown Road off Route 57 in Sandisfield, Massachusetts. 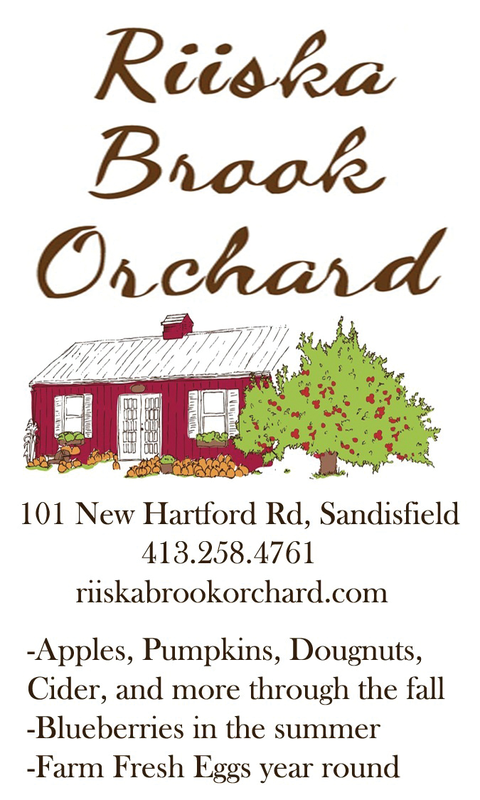 A small town noted for its scenic beauty and historic homes, Sandisfield is approximately 25 minutes east of Gt. 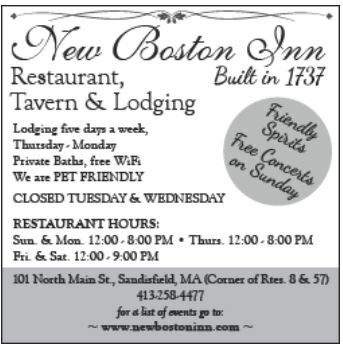 Barrington, MA, north of Winsted, CT, and south of Becket, MA. Our building is handicapped accessible. Gallery shows, talks, and workshops take place in the ground floor gallery. Most performances take place in the upstairs main theater which can be reached by a handicapped lift and which has upholstered chairs for comfortable seating. From Great Barrington, take Route 23 East to Route 57 East. 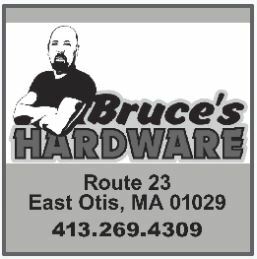 Follow Route 57 for 12 miles, going through the towns of Hartsville and New Marlborough. Hammertown Road is a left turn approx. 1.6 miles past the Sandisfield Fire House. The Arts Center is the first building on the left on Hammertown Road — where you see the large green and white sign. From Otis, take Route 8 south to the junction of 8 and 57. Take a right onto 57W and go for about 3 miles. Hammertown Road will be on your right. If you arrive early for an evening performance or want to grab a meal before or after a morning or afternoon event, there are several restaurants nearby. Check their websites for hours and seasonal closings. About a mile up Hammertown Road (a dirt road reasonably well maintained in the summer and fall) is the Clam River Preserve, cited as one of Berkshire’s top 10 trails by the Berkshire Natural Resources Council.